The Brasserie Zedel is so far (up until the Beaumont Hotel, coming soon) Corbin and King’s largest venture, spanning three floors: the ZL Café as you enter, below it is the Crazy Coqs, and finally the Bar Americain and Brasserie. The tiered gastronomicon is a feast for the eyes, and with good reason appeared in the top 10 of Archtectural Digest’s Most Beautiful Venues. The Hoodooist adores the ZL café as a respite from the bustling Piccadilly Circus, and cannot resist the charm of the Francophone staff and spot-on French café interior – who needs a Eurostar ticket? Especially with the wine list which, though short, has much to offer in quality and price. Down the stairs, you find yourself in an Art Deco paradise, faced with two very different bars: The Crazy Coqs and the Bar Americain. The Crazy Coqs Cabaret provides a Lynchian red and monochrome setting for daily cabaret, comedy and jazz performances. Where drinks (10 pounds a pop) are concerned, we find top-shelf liquors served up in classics, suiting the nature of the bar perfectly. 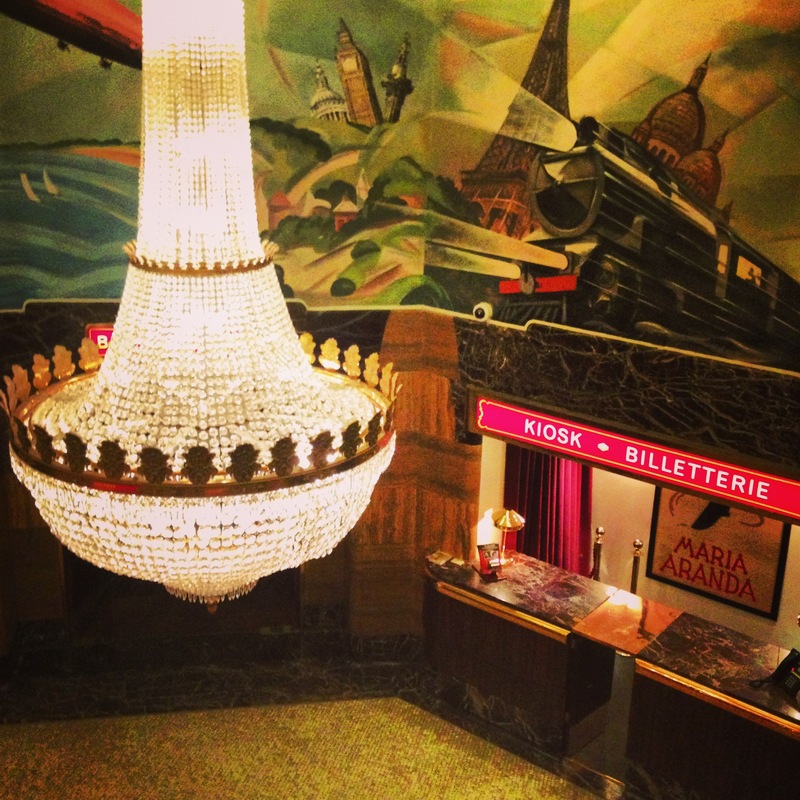 Next, getting past the dashing host of the Bar Americain: the sumptuous venue, again arrayed with the Zedel’s trademark illuminated pillars, is decorated with images of aeroplanes and Sylvain Chomet-esque sketches in a dim-lit environment. Very easy to relax in; fantastic to bring in a couple of friends, and perfect for a date. You’re faced with classics and a short, but enterprising list of house cocktails. The selection is varied in style, from the bright and lively French Aperitif and Parisian Summer; to the deeper and darker Chrysler Cocktail and Valentino’s Revenge. The Josephine is a spectacular accomplishment: Golden Rum, Lillet Rouge, Campari, Benedictine, bitters. The initial assault of golden sweetness sinks into the depth of the Lillet Rouge, finally brought up to distant herbal simmer to balance with the Campari and Benedictine. Smooth, and surprisingly easy to drink, the Josephine is quite possibly one of my favourite drinks here. Lee Hyde’s expertise creates spectacular drinks, but some of the recipes in an attempt to be adventurous, overload the senses with too many ingredients, for example: the Chrysler Cocktail that has such potential, ends up confused and muddled. The Chrysler, even in theory sounds like it needs to lose something, but would then taste wonderful if it did: Cognac, Chambord, port, Campari, Orange Curacao and bitters. On the other hand, the Metropolis’ simple combination of Crémant, cherry liqueur, Orgeat, bitters and lime is a winning combination. Not to mention, here, classics rule the roost. A whiskey Old Fashioned to knock your socks off and a Martini for days. Beautifully done. Finally, the Brasserie Zedel – I’m not going to spend long on this, I’ll just say that French friends quickly took to the brasserie, and it certainly is fun to see a Parisian squeal and swear happily at the sight of the menu. Prices can range between 11 pounds for Prix Fixe menus, or go crazy a la carte. The versatile prices mean a wide range of patrons, and therefore always busy. Booking in advance for a Saturday night is necessary, and pre-theatre dinners are packed. There is a selection of tables kept aside, so if you’re walking in, you might still be lucky with a small party. 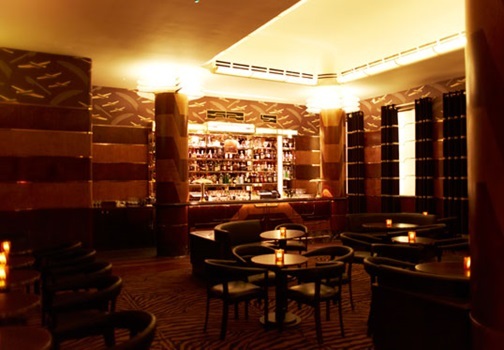 The Bar Americain and Zedel are impeccable. The variety in what it has to offer makes it a destination all unto itself – on a night out, we struggle to stay in one venue and normally dine or drink in each one. I’ve always expressed my fondness for Corbin and King ventures, and Zedel was actually my introduction to them. I was similarly impressed by their Fischer’s, Colbert, and Delaunay (Click HERE for review!). I excitedly look forward to the Beaumont Hotel (2014). This entry was posted in Bars & Cocktails and tagged Bar/Restaurant, Classics, Date, French, Small Groups, Vintage. It’s….it’s not really that good. You shouldn’t go here. Go…somewhere else instead. Have you heard of the Archer Street bar, or this delightful place called Wetherspoons? Yes, go there. Go there. Not here. No, is terrible…not for you readers, not for you….